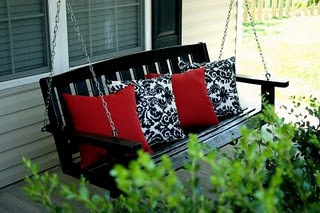 If I had a porch this is the swing that would be there! 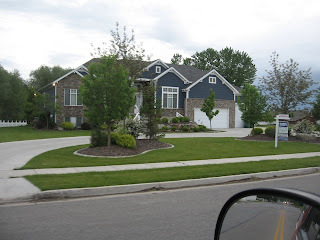 I found this on Little NannyGoat Blog and she shows a before and after picture. It's amazing how much a coat of paint and cute pillows make a project work!! 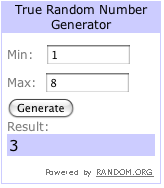 Congrats to Tammy Blaisdell...she was selected using random.org to make it FAIR! And lucky for her only 8 people left comments...although many friends and fans contacted me directly to tell me they DO READ my blog...but apparently don't know how to leave comments for drawings (we'll work on that). Anyway, Tammy I'll drop by your cute notebooks and surprise jeweled keychain (you'll love it - or you can regift it). 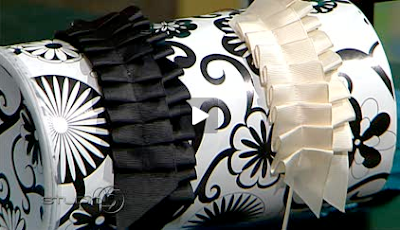 Blue Cricket Design had a great segment aired on Studio 5 and how fun would these be to make!?! Jump over to their website to see the actual video on how you could make those. 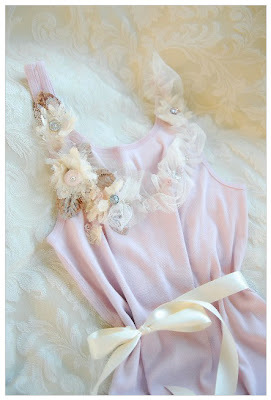 If you've followed my blog you'll know that I have posted about these darling bib necklaces once or twice before. But this link offers a great tutorial on how to create your own. 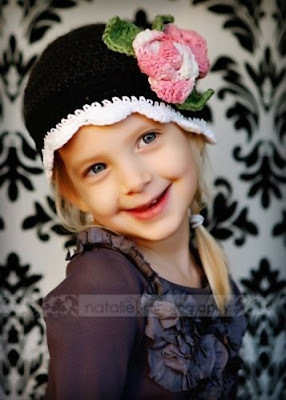 One day when I have free time I want to learn to make hats these CUTE!! Heart Smiles Etsy shop has some of the best hats with flowers on them I've seen. However, I'm totally clueless about whether they're "knitted" or "crocheted"...you'd think my mom would have taught me LOL. 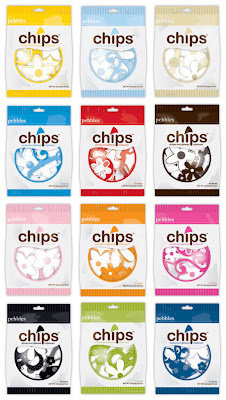 Loves these when I saw them on So You Think You're Crafty's website. 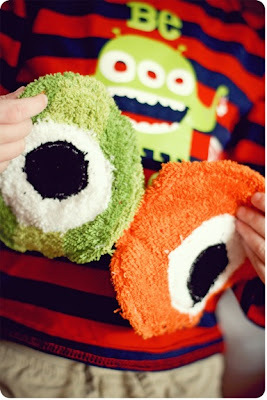 They're "monster" wash clothes and what little boy wouldn't love to wash off with these clever things? I'm always a big fan of clever projects like this one...they're cute scripture covers that you can make to hold pencils or crayons. 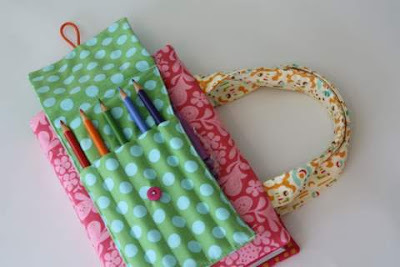 Behind the pencil part is a pocket for a little notebook or journal. My daughter has been wanting to sew something fun and useful and I think this will be her next project. 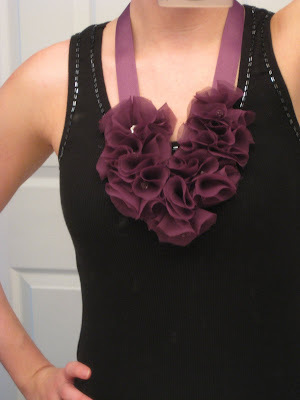 Visit the Pleated Poppy for easy instructions on how you can make this too! 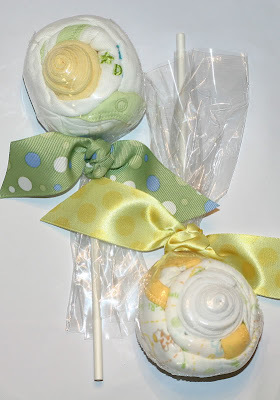 Mini Me Baby Gear website has some darling gift ideas...like these lollipops. It's a Onesie & Pair of Socks made into a Sweet Lollipop! Only Quality, so you can be sure you are giving a quality gift for a special little one! What a clever way to wrap up a baby gift. And I especially loved the cupcakes (see next picture). I figured once I came upon the jumbo cupcake liners that I could try my hand at creating one of the cupcakes. Here's my attempt. 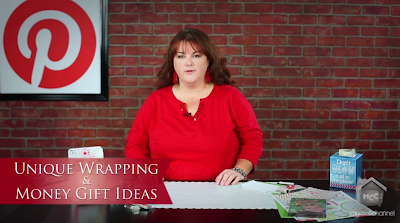 I plan to wrap it up in a cello bag with a cute topper. 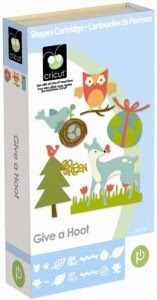 Who would have thought that we'd go from buy pre-cut die cuts to making our own with a little machine called a Cricut!? But like all things in scrapbooking...we quickly become obsessed with "collecting" all the cute additions to it. And in answer to my hubby's question, "No, you cannot ever own enough cartridges!" Here are three new ones that I "must" own...eventually! If you've never burned fabrics, you're in for a treat. I'd suggest not doing it when your kids or husband are around because they'll either complain about the weird smell or want to join in. 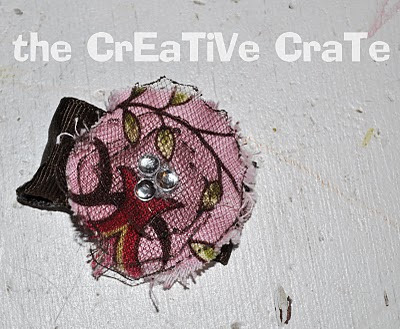 Visit The Creative Crate to see an easy tutorial on how to create these fun, easy clips. My interest in dies and die cut machines is increasing all the time. The amazing things people are doing with texture/embossing plates and flower die cuts amaze me all the time. 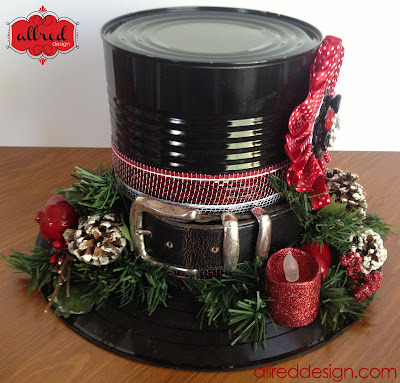 This one is a great example of what you can create with a Sizzix die. Be sure to visit the original post to see some amazing close-ups!! 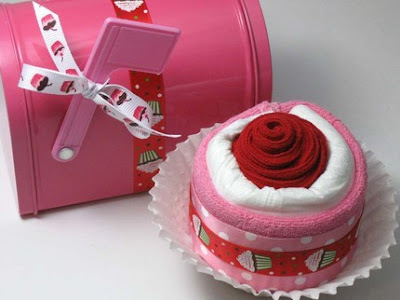 I love the baby stuff rolled up like a cupcake or lollipop, what a great idea and very cute for a new mom. Thanks for sharing! I may not always comment but I do look at everything you post. where do you find all of this cute stuff????? I love it all!!!! I LOVE the LOLLIPOPS & CUPCAKES! And I LOVE Emma's book! I have to look at it closely for inspiration so I can finish my Princesses' Crown Albums! OMGoodness - your blog is like walking through a flee market and seeing so many wonderful and eclectic items. Your baby cupcake is PERFECT! 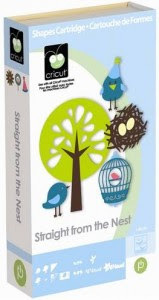 Love that idea and I need to acquire some more Cricut cartridges too. I just upgraded to the 12x12 model and now I think the sky is the limit. TFS. 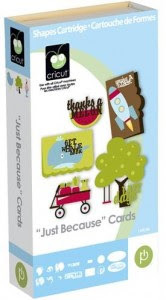 OH I have preordered the just because cards myself. I can't wait. And I love the cute baby ideas. So original.